The Exposed Skin Care- Microderm Scrub is something to love. Users of this product have compared it to other scrubs and say that it really works without being too harsh on the skin. The Exposed Skin Care- Microderm Scrub uses micro-sized corundum crystals that polish away dead skin cells. This leaves your skin radiant and smooth while improving its overall texture and appearance. We sure hope you’ll love this product after you finish reading this guide. Enjoy, lovelies! What Is Exposed Skin Care- Microderm Scrub? The Exposed Skin Care- Microderm Scrub is a unique and gentle exfoliating scrub that works wonders. It uses micro-sized corundum crystals to polish away your dead skin cells, reveal a newer, and younger skin. It will leave your skin looking soft, clear, and definitely healthy. Exposed Skin Care- Microderm Scrub is a delicate blend of exfoliants. The natural extracts used in it can improve the overall texture of your skin. 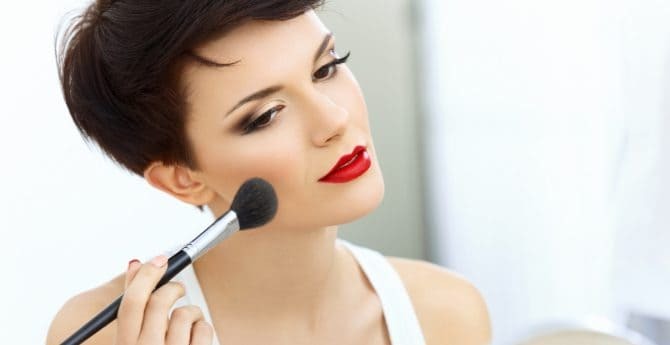 With regular but not too frequent use, you will notice that it has created a smooth, radiant, and refreshed look on you. Exposed Skin Care products contain a powerful combination of Scientific Actives to kill acne-causing bacteria and clear clogged pores. Exposed made sure that all their products contain a synergistic combination of soothing Natural Extracts to help your skin heal and improve skin tone. The Exposed Skin Care- Microderm Scrub uses a carefully selected combination of ingredients to remove damaged skin without causing redness and irritation. It has Corundum Crystals which are responsible for removing dead skin. It also contains Green Tea Extract which heals and protects the skin, while the Passion Flower reduces the redness. How And When To Apply Exposed Skin Care- Microderm Scrub? The Exposed Microderm Scrub works together with the Exposed Facial Cleanser, Tonic, Serums, Moisture Complex, Clarifying Mask, and Probiotic Complexes to improve your overall appearance and give you clear, radiant skin. This product is also included in two of Exposed Skin Care Acne Treatment Kits. Why Use Exposed Skin Care- Microderm Scrub? This gentle yet effective product will help you improve your complexion and skin smoothness. The micro-beads or the micro-scrubs are micro enough that they efficiently remove your dead skin cells. You will really notice your dead skin rubbing off each time. Compared to other scrubs in the market, this product is not harsh on the skin. The Exposed Skin Care- Microderm Scrub gently exfoliates the skin and leaves it feeling soft and healthy. It even helps to clear up any blemishes that may be there. You will actually feel like it goes down into to your pores to clean out any dirt and oil. Exposed Skin Care uses natural and science-based ingredients. All the ingredients that are in their products are best known to treat all kinds of acne lesions. Exposed products provide rapid, yet give a sustained relief in mild to serious acne. Being composed of two types of ingredients i.e. natural as well as synthetic scientific ingredients, Exposed Skin Care has created a product that renews and penetrates the skin. This results to clear your pores being clogged off of oil, dead skin cells and most of all, bacteria. The company offers a wholesome approach to acne treatment that provides visible results within several weeks. Other companies may offer acne products that wash away skin cells but their products cause inflammation, irritation, and dry skin. 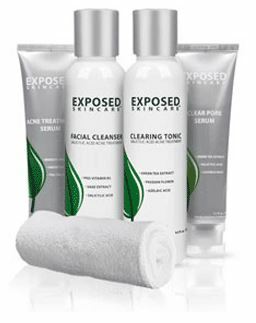 Exposed introduced Exposed Skin Care 4-Step Acne Treatment Kit that goes above and beyond, providing oral and topical acne treatment solutions that remove dead skin cells, cleanses pores, and soothes the skin. This Exposed Skin Care 4-Step Acne Treatment Kit will leave your face feeling smooth and hydrated. 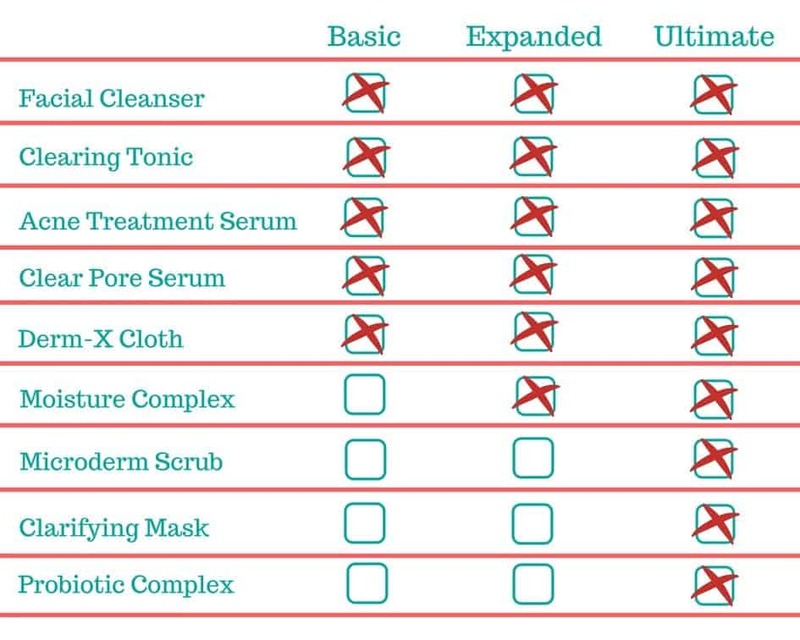 When you purchase Acne Treatments for Exposed, you can choose between the Ultimate Kit, Expanded Kit, and Basic Kit. 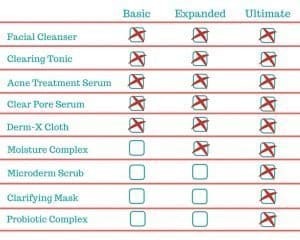 We have written an article about the Basic Kit. 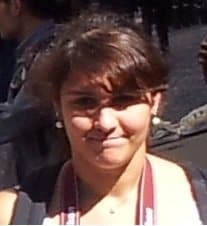 You can read it here if you haven’t.